One of the most exciting parts of 2016 was meeting these beautiful giants! 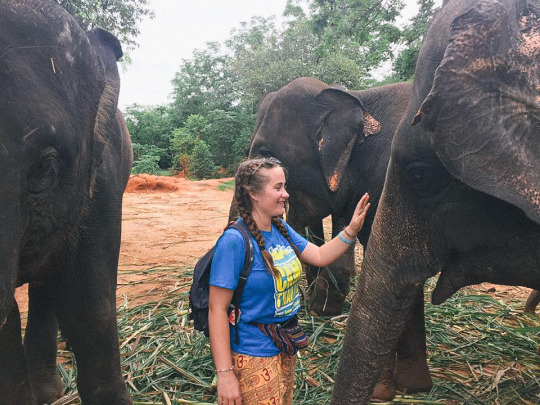 I was able to volunteer with The Surin Project to aid with the caring for Elephants who have been rescued for various reasons. I was able to go on a walk with them, feed them, learn their stories and just hang out with them in the centre. It was magicaaaaal! It was a dream come true, these animals are incredible and it breaks my heart that they could be extinct within 20 years.